Pensions are just about a thing of the past. The era of the pension fund is pretty much outdated and in the past, unless you are grandfathered into a union contract that is preserving that form of retirement planning. But the pension fund 2.0 has in recent years taken over the fund for retirement, also known as the 401k. Unlike the pension fund, which for the most part was modeled by the amount per week that was allocated from your paycheck either weekly or monthly, has been replaced by the 401k standard. This type of program also takes a percentage of your income that has yet to be taxed, allowing for greater growth in the long term. Understanding how your 401k works can give you an edge in funding your retirement and a life after working. In the most simplistic of terms, a 401k is a retirement fund that you contribute money to in order to help fund your later years. Usually by common practice, your employer offers a matching contribution of what you are pouring into the fund. The concept is as follows: you contribute a percentage of your gross pay, matched commonly by your employer and let it compound over time gaining interest and remaining as an untouched or untapped fund for retirement. The benefit of this, is you are essentially getting a matching amount of money from your employer that can be seen as free money that won’t be taxed until you withdraw from the fund. The idea is that your money pre-tax compounding over time will accrue much quicker than the taxed version that you would via a pension fund. An additional benefit is that limits set by the federal government on how much per year could be contributed are rising. As of last year the max for someone younger than fifty years of age maxed out at $17,500. And if you were fifty years of age or older you could give a max of $23,000! 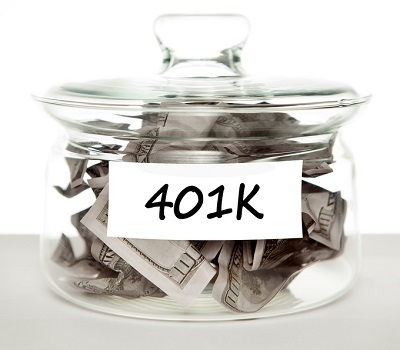 It is important to understand that your 401k is a retirement fund and there will be government taxed penalties for withdrawing the money earlier than the set retirement age. With that said, it is your money and you can withdraw it whenever you feel like it. But what you are losing versus what you could be gaining, should be understood before any action is taken. You could pay as much as a 10% penalty on your funds accrued thus far, just by taking it out early. I can hear it already, “What if I get a new job?” That is easily answered. Because we understand that withdrawing early is like taking the fund and throwing it away, before it can mature. You would do better for yourself, if you just rolled the current funds into an IRA or into another 401k; you should avoid cashing out at all cost. Why would you risk losing the money to taxes, when it can grow via other means. 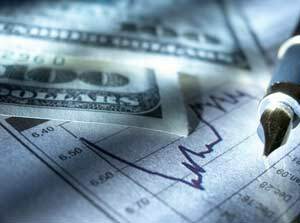 Should you find yourself not wanting to cash out, or tie up your funds in another 401k, you can always roll that money into stocks and bonds, as a third option. But make sure to do your research on what the interest rates are and how well the stocks and bonds can pay out for you, either in quarterly or yearly dividends. It is important that you educate yourself on the rules and obligations, contributions expectations and tax exemptions that your particular 401k is to be subjugated to. Your employer would have all of this information, and by reading through it all, you are giving yourself the best opportunity to grow this pre-taxed monetary fund. You should see if there are any other limits or rules that are placed on your 401k by your employer, as it is up to the individual company to place restrictions, if any, additional to those imposed by the federal government. The retirement age keeps changing. Years ago you could retire at the age 62 and retrieve all your saved up retirement money with limited penalties. Now, the age to pull your money free of penalties from the government takes place when you are 70 1/2 years of age. Understanding the plan fully that you are placing your money into for retirement can give you a better edge over anyone else, when it comes to funding the plan. With knowledge comes power, and understanding how 401k’s work as well as how your individual one will work, can only help you make decisions that can help grow your retirement money without hurting your long term compounding funds. You are well on your way to financial security, because you understand that it is a day by day way of life, and understanding your finances and your future and retirement through your 401k. We all seemingly understand what investing is, how to research what companies, products and industries that you think can make you a return on your monetary investment. But like everything in life, understanding the fundamentals in anything, can be the only safe way to understand your investing craft, and master the process and application of your skills. What this article will address, are some basic tips you can follow, when starting out in investing. Understanding these tips and following them can help lead to financial success when buying, selling, or trading stocks. It is easy to fall into the buying norm that if it costs more it must be worth more and or better quality. Just because a stock may cost upwards of $100, doesn’t mean that it will give you the greatest payoff. Stocks like these can have a market tendency to bounce up and down, but tend to level off in the same price range. It is very likely that you would experience buyer’s remorse in buying up over priced stocks, and only making a few dollars on each before selling them off. If you are prospecting to earn roughly the same you would on lowered valued stock, then there really is no point in spending the higher cost for the same return. 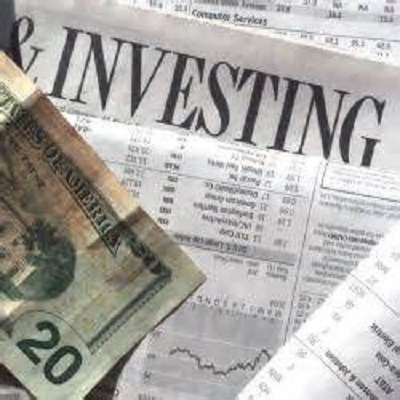 What can be one of the most important factor in trying to make a profit on a stock investment, comes down to the basics, in understanding that if you are looking to only invest for a short time, by buying and selling these stocks, than price of the stocks become less important and more importance is placed on the value they are gaining. The stock market, for the short term investor, is shaky at best. Speculation runs the market, it causes buying and selling frenzies. Therefore the establishment a long term company, yearly projections and long term actions and investments made by those companies in the modern day mean very little to you because you wouldn’t be looking to invest in them long enough to see the those investment pay off. If you are looking at a long term investment plan, then stocks and bonds are some of your best options for putting down x amount of money and seeing something of a sizable return on it. In fact, since the 1950’s, the majority of all stocks and bonds held and cashed out after hitting their long term maturity date, paid out high above the rate in which it took inflation to catch up. Long term investments won’t give you that get rich quick but are a great way to save for your future, education, and even your retirement. 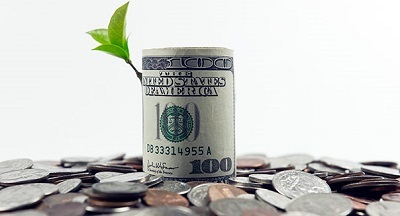 Long term investments can offer you the best chance for a return on your investment, not just because you are spreading out the window of opportunity for a profit to be made by rising worth, but because your long term preliminary research can give you some of the best advice prior to making the investment. If you are buying stocks from a company that has been long and well established, you are giving yourself the opportunity to succeed. You can analyze buyer patters, industry importance and over all investments made by the company and their success rate on a return. Long term investments follow the same fundamentals of investing, that you would use when it comes to short term investments, but are allowing yourself to take part in an opportunity where a company has the chance to make you money, just by maintaining a profit margin. If you notice that all of your friends buy apples (the fruit), and the market is calling for a rise in cost on the sale of each apple, in theory, if you bought the apple at a lower cost and then sold it for a higher cost you made a profit on the difference of what you paid and what you were paid. But serious investors understand that it is more important to look what other fruits are selling well, not just the cost of the hot ticket item. So you buy ten apples, and notice that orange are selling just slightly below apples, and can last twice as long. The savvy investor would take note and buy up oranges too. The same works when it comes to investing, because what the fundamentals teach us, is that investing all of your money into one stock or one company often yields little security of our finances. So when the price of apples drops, all those who only invested in apples, will lose everything. Whether it be fictional fruit prices or real life stocks you are looking to trade with, these helpful tips can better educate you in the fundamentals of investing, so that when you do use your actual money, you can gain an actual profit. What is the Futures Trading Market? The futures trading market is one that has been widely grouped into options trading. While they both work on similar systems, futures trading has much more serious restrictions that we will look into later on. Though much of this industry is misunderstood, it has also provided other day-traders and swing traders with the platform to gain millions. Most of the time however, futures traders find themselves in a deep loss, which can quickly go from bad to worse. This will serve as an introduction to futures trading and the market, as there is way too much information to squeeze into one post. We’re not trying to give you a quick fix for sleep insomnia, this is to broaden your trading horizons and help you understand the benefits of futures trading. So, what are futures and what is futures trading? To put it simply futures are standardized contracts that are publicly traded through an exchange. These contracts cover an expansive amount of different forms, with commodities, stocks, and options readily available for investment in the futures platform. The futures market is generally characterized by it’s ability to use high leverage relative to stock markets. Futures trading and contracts were originally created to hedge and speculate the price movement of the underlying asset in question. To understand futures trading, there are a couple of terms you’ll need to know. Initial Margin: This is the fee paid for the futures contract. Unlike other types of trading, futures contracts only require a fraction of the actual investment up front. Instead of paying a premium, futures traders pay an initial margin to the seller to obtain the futures contract. Margin Call: A “margin call” is the dreadful position many futures traders find themselves in. As the price fluctuates against a party’s favor, it can cause that party to owe or settle up on their account. After a consistent trend of loss (which happens quite frequently with futures price fluctuations), the substantial debt the party owes is referred to as a “margin call.” Such events can happen very quickly in futures trading and is the number one reason why many day-traders quickly lose everything in the futures market. Another area that has to be understood are the four different types of futures trading. Regardless of your unique strategies, innovatively diverse portfolio, or recent gains, you will also fall into one of the four categories. Like a well oiled machine each type of future trader provides a specific function in the larger spectrum. They are all cogs in the futures market making opportunities for some while taking them away from others. As you review the four different types of futures trading, consider the way you strategize to recognize which class you belong to. Hedgers:Like we mentioned before, the original purpose of the futures trading market was to hedge against price risk. As a hedger futures trader you’ll go short on the futures contracts you invest in while owning the underlying asset or other related future contracts in order to protect your existing position against price fluctuations. Speculators: This type of futures trading has formed the backbone and support of the futures trading market since emerging. Both day and swing traders provide liquidity and activity to the futures market through their strategies. Speculator futures trading buy or sell future contracts outright in order to further speculate on a strong directional move. Arbitrageurs: This type of futures trading has begun to transition to the automated realm as computers are programmed to identify significant price anomalies between futures contracts and their underlying assets in exchange for a risk free return. Arbitrageurs provide the futures trading market with a huge source of volume and liquidity as it takes an extremely large fund and trading volume to return a worthwhile profit. Spreaders: Are not single contract type traders. These futures market traders reduce their risk and extend their profitability by trading future contracts with other contracts or underlying assets. Spreaders usually hold complex positions in the futures market and are known as Future Spreaders or Future Strategies. They make use of the difference in price and the rate of change in price of different, off-setting futures contracts in order to create futures positions that move within certain limits and have higher profits with lower commissions. One of the most common mistakes in the futures trading market is assuming a futures contract is the same as options. Though both markets have many similarities, there are major differences between the two. Both are the most widely publicized derivative and hedging instrument in the world they both serve different needs in the capital market. The biggest difference between options and futures trading is the fact that all future traders are obligated to the contract they have sold or purchased. These exposes both parties to unlimited liability if prices move against their favor. Options give the holder the right to buy or sell the underlying asset at expiration. The other difference is the initial margin and it’s use in futures contracts. Upon obligation on a futures contract the buyer only has to put up a fraction of the total. With the current futures trading market in similar standards as the rest of the markets, it could be a great time to start getting involved. The cautious nature of prices may make futures contracts much more appealing. Both options and futures contracts play a pivotal role in a well-diversified portfolio, as we spoke about earlier this week. It’s good to start looking into the various options you have and see how you can get involved in the risky, but sometimes bountiful market. Have you traded any futures contracts recently? What type of futures trader are you? Let us know! Stay up to date on the futures trading news by getting on our FREE eMail list! Gold futures are hot at the moment. Like the basic gold market, they seem to represent a wonderful opportunity to let any investor make money quickly. It is wise to remember, though, that futures are always a sword that cuts both ways. If you want to get involved with futures, you have to be willing to admit that the risks are often as great as the rewards. It might be easier to think of gold futures as a bet against the future. As a buyer, you make a bet that the price of gold will rise in the future, while the seller is working for a downturn in the market. If things go your way, you might make a huge profit. If they do not, you walk away with a loss. It can be both more and less dangerous that trading in gold itself and the profits can be nearly as wonderful as the losses are terrible. What a good gold futures trader must remember are the margins. You do have to put money down to secure your investment, and you do stand a chance of losing quite a bit if the price of gold goes down. This is in place so you do not try to get out of the deal that you have made, of course, but it often serves to ruin lesser investors. If you want to trade in gold, futures can be the best way to make real money. It can also be the best way to take a loss. Your goal as an investor should be to find a way to mitigate the latter while embracing the former. Fortunately, the current gold market is still quite strong. If you want to trade in gold futures, it truly does seem to be a good time to do so. Stay up to date on gold futures by getting on our FREE eMail list! 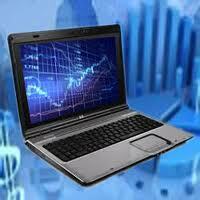 Online futures trading has removed a lot of the obstacles that kept the average person out of the futures market. A futures contract is a standardized contract that contains the agreement to buy or sell a specified commodity at a specified date; everything about this contract is the same, except the price which helps to remove any ambiguity. Before the internet, commodities would be traded in the pit of a stock exchange and have much stiffer requirements. With the invention of the internet there have been vast improvements that makes futures trading much easier. The first major hurdle in online futures trading was the lack of leverage. 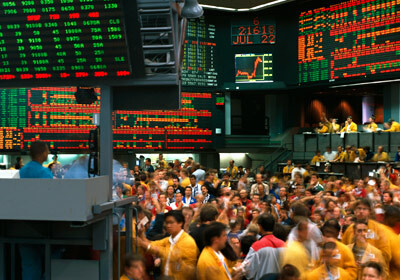 Purchasing futures contracts would often tie up a lot of an investor’s money and make it more difficult to diversify. Due to futures operating on a margin, an online trading account only needs a small fraction of the contract value in order to purchase it. The other problem was commission costs. Paying someone to be on the floor in the pit trading was pricey and could end up really eating into the profit. Using online futures trading to do this electronically removes the element of human interaction on the floor and drastically cuts back on the commission costs. The ability to go short is another reason that the internet has opened the futures market to investors. The number of hedgers and speed of the internet ensure that futures contracts remain highly liquid. The savvy investor can add another area to his or her portfolio by taking a hard look at the futures market. It is definitely a different area with different rules than stock trading, but online futures trading can quickly become profitable with all the advances in technology. With the constant rise in gas prices, many investors want to start investing in oil futures; this is great, except many new investors have no idea what they are getting into. The first thing to understand is that a single contract constitutes one thousand barrels of oil, similar to buying one thousand shares of a stock; this has a major impact, because if the value of oil goes up by a dollar, the contract’s value actually changes by one thousand dollars. 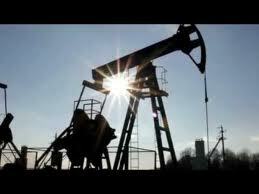 Understand how and when oil is traded is the first step in becoming successful in the world of oil trading. There are all sorts of reports that comprise the trend analysis for oil futures. The American Petroleum Institute publishes weekly reports concerning the supply and demand of oil. OPEC also provides constant statements about the current status of oil around the world, which is often an indicator of what the future will hold. Gathering information is vital and taking an annual look at oil is simply a must. There are many seasonal fluctuations and understand the impact of weather will lead to smart investing. Looking at the trading volume and average moving price are two key statistics in investing in oil. Oil can be a difficult area to invest in, due to the constant need and constant fluctuations; not to mention the major shifts that occur from natural disasters, fires at processing plants, and issues with shipping vessels. Taking everything into consideration can be difficult and this is the reason that practice is important. Finding a practice account that allows real-time information is vital to becoming successful in this market. Investing in Oil futures means entering into a rich market, but understanding all the moving parts takes lots of practice and lots of research.